One of the greatest horror novels you've never read, H&eacute;bert's dualistic perception of existence is seen in Children of the Black Sabbath, set in Quebec in 1944, with flashbacks to the preceding decade. Satanic rituals in an isolated mountainous area and religious ceremonies performed in the Convent of the Precious Blood are juxtaposed by means of narrative shifts. Witchcraft, demonic possession, exorcism, and satanic initiation find their corollaries in prayers, dedication to God, Mass, and initiation into cloistered life. 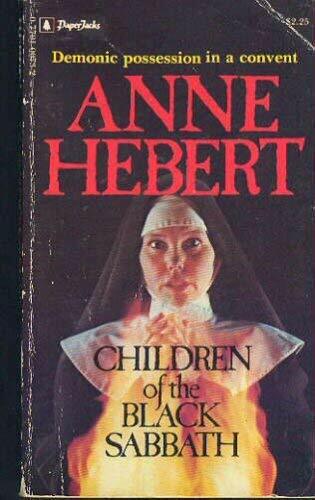 Children of the Black Sabbath is unsettling in its depiction of sordid sexual initiation in the world of sorcerers and deceit within the walls of the convent. As do many of H&eacute;bert's other works, this novel probes the traditional conception of reality, suggesting the existence of another world that is dark and powerful.